Two days after Newman Police Cpl. 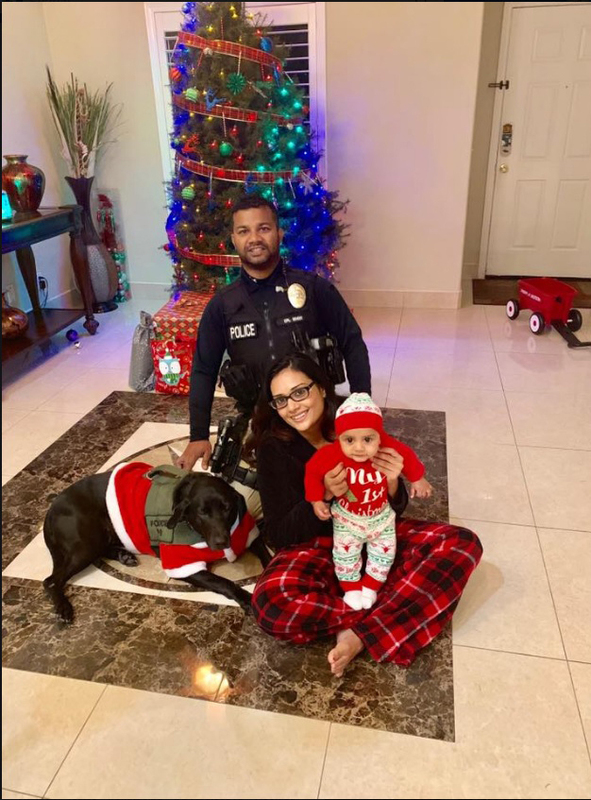 Ronil Singh was gunned down on Christmas night, investigators said they caught his suspected killer 200 miles away just outside Bakersfield. 11.30AM - Arriaga arrested at house in Lamont, CA outside of Bakersfield. Three other people were arrested for providing him assistance. Investigators say Arriaga was attempting to flee to Mexico. 6.30PM - Candlelight vigil held in Newman for Corporal Ronil Singh. His wife, infant son and K-9 Sam also attend. 9.30PM - Two others - Arriaga's girlfriend and another brother - arrested by police, Stanislaus County Sheriff's Office says. This brings the total number of people arrested in the murder of the officer to eight.